A consultation with Anne Clark begins when YOU make up your mind to choose better health and are ready for change. The first consultation with Anne is the “getting to know you consult”. This is the most important session where we discover what you have already been doing towards creating a healthier and happier you. It’s important that you bring any X-Rays or paperwork relating to any existing conditions. To move forward we need to know where you have come from. Who will benefit from a consultation with Anne? Anyone suffering from energy loss, food allergies, bowel or gut issues and of course, anyone needing clarity on their diet and lifestyle choices and how their choices are affecting them. Anne can guide you in how to turn on the ‘sunshine’ in your life. She has a gift of explaining the technical workings of the human body in simple to understand language and why creating the chemistry and state of optimism is conducive to better health. 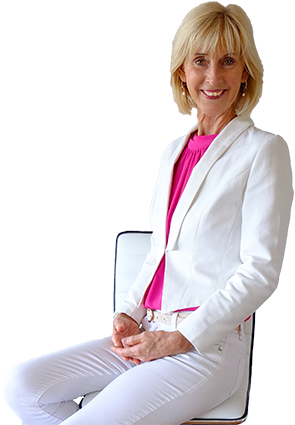 Her objective with consultations is to educate you to create a stress-less lifestyle by giving you the tools to operate in confidence so you can create chemistry of wellness in your own body. Initially once a month up to 4 months until we have established a healthy, yet flexible pattern in place that you are happy with. 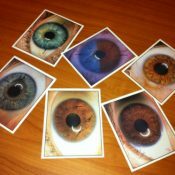 Iridology is the science of looking at your iris, colour and whites of the eyes to identify what physical constitution and character you are. Iridology reveals the state of the bowel, digestion and healing ability of the client. We are able to see abnormalities of the digestive system and extremes in the acidity or alkalinity of your chemistry. We discover if you have any broken bones that may or may not have healed successfully. We also see if which treatment protocols align with you best. Each of us is equipped with a miniature recording screen that can gauge the status of our health – The Iris. NES takes a snapshot of your energy fields and the way your body is handling stress. This modality clearly shows how your body is absorbing nutrients and gives you specific information as to what nutrients you need to incorporate into your diet. This consultation is positive, interactive and very conclusive. You will receive guidelines to implement once you are home and a clear path to follow with menu ideas and strategies for everything from better sleeps to healthier digestion. We also incorporate insights from the ayurvedic ‘dashas’ to assist with creating a lifestyle aligned to your type. The aim of the NES therapy is to return integrity to the ‘human body-field’ and support the body’s inherent natural ability to heal itself at a chemical, physical, mental, emotional and information level. If you are an athlete you will require a coach at some point in your amateur or professional career. If you are studying a new career you will need a business coach and if you are embarking on anything that requires accountability and commitment you will need a coach. So too, it is necessary to have a coach for your health needs. Annie will be your backstop during the times when you want to implement change and strategies to improve your health. Annie likes to think that she is a facilitator of change. Annie brings over 32 years of experience and know how into her sessions and brings you up to date with your abilities to stay well and maintain some control over your health. Annie will bring clarity to your health situation so you can be sure that your outcome is successful and the best for you. For some people it may be impossible to come and see Annie at her premises on the Sunshine Coast. 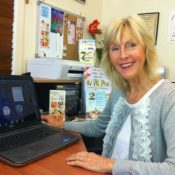 Annie does travel all over Australia for her seminars and health events, and internationally, you are certainly invited to attend any one of these – see Interactive seminars, raw food workshops and speaking engagements on this website – however you can also receive beneficial health evaluation and consultation through Skype or phone consultations. The Aromatherapy Relaxation Treatment is a combination of gentle strokes and essential oils on the back, feet, neck and hands. This treatment is carried out using light to medium pressure, to help relieve stress and deep points of muscle tension knots. What to expect during an Aromatherapy Relaxation treatment? Pure Bliss! To accurately tailor this ‘Aromatherapy Relaxation Treatment’ to your specific needs we will ask specific questions first about how you are feeling, find out about previous injuries or existing complaints, your first priority health concern and more. We will address concerns about your digestive health and find out about your overall emotional response, anxiety levels and current perception of how life is going for you. All this is very relevant to give you the best outcome for your personal needs, or the needs of your voucher receiver!